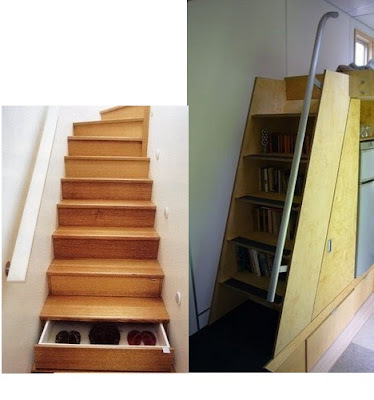 Every design site on the Internet seems to have shown the stairs with drawers in them (on the left), we think originally published on Desire to Inspire in April and recently in Lifehacker. It is not a new idea, and has been used in boats for years. Some of the comments on various sites worry about what would happen if one left a drawer open and was carrying laundry down the stairs; they could be a hazard. 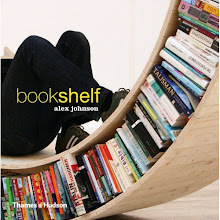 Andy Thomson, designer of the miniHome, built a useful bookshelf system into the stairs to the loft, which is a less expensive method of using that usually wasted space, without the danger.